Come on down to Fethard Horse Country Experience on Culture Night. ‘Fethard Horse Country Experience’ will open late to coincide with the screening of ‘Stella Days’ in the Holy Trinity Church nestled behind the The Tholsel, Main St., Fethard. 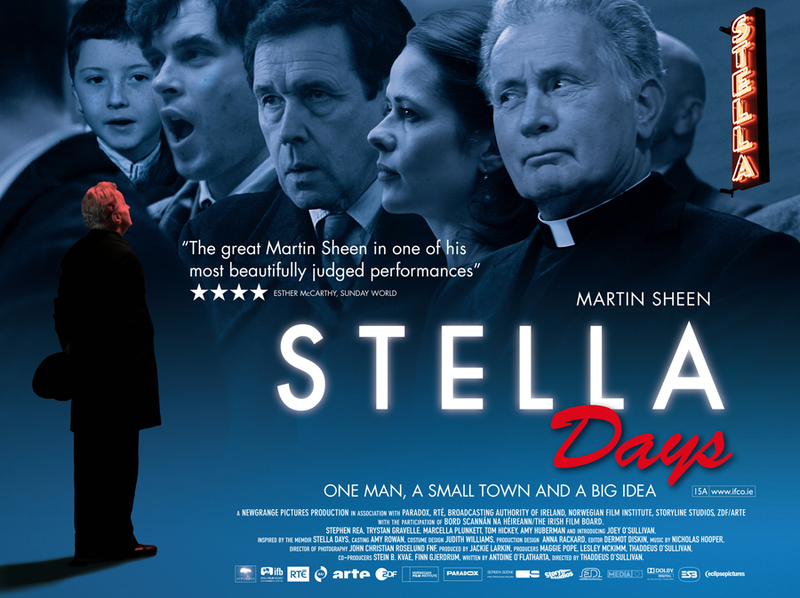 ‘Stella Days’ directed by Thaddeus O’Sullivan, starring Martin Sheen, Stephen Rea, Amy Huberman & Hugh O’Connor was filmed in Fethard in 2011. Both the Tholsel and Holy Trinity Church were featured heavily in the film and this event will marry culture, the arts and heritage under one roof in the heart of the medieval town of Fethard. You do not need to purchase tickets to visit FHC Experience. However if you wish to view Stella Days in the Holy Trinity Church, tickets must be purchased in advance for the film screening using the link above. Culture Night is brought to you by the Department of Culture, Heritage and the Gaeltacht and the Creative Ireland Programme in partnership with Tipperary County Council. A sincere thank you to Tipperary County Council for their help and co-operation in bringing this event to life for Fethard.